1 Are there any minimum term contracts with these hosting plans? There are absolutely no minimum term commitments you need to agree to. If you would like to cancel your Business Web Hosting package at any time, simply contact our billing team. 2 Do you offer a 30 day money back guarantee with this package? Yes. In fact, most of our hosting services are backed by our 30 day money back guarantee. We are very confident you will enjoy the service, and if you are at all unsatisfied, you can request a full refund within 30 days. 3 Will I be charged anything if I need to contact you for support? We do not charge for technical support covered under the SLA. If you need any help, our friendly and experienced technicians will be happy to you. 4 What versions of PHP, MySQL and Perl are installed? All of our servers run PHP 5.2.x, Perl 5.10.x and MySQL 5.0.x or above. If you need to be hosted on a server with a specific version installed (e.g. PHP 5.3.x), please let us know after you've placed your order. 5 How would I make a claim if the 100% uptime guarantee is not met? All claims are in accordance with our Service Level Agreement. If in a rare circumstance our 100% uptime guarantee is not met, you can submit a claim for compensation with our Feedback Department. 6 Is Value Added Tax included in the price displayed? Yes, all prices are inclusive of Value Added Tax at the current rate of 20%. If you are entitled to VAT exemption, you will need to claim back the VAT with HMRC directly. Please contact our Billing Department for more info. At eUKhost our aim has always been to constantly enhance our services by offering the latest technologies to stay ahead of our competitors. To continue this trend we have introduced Business Web Hosting with a 100% Uptime SLA. A 100% Uptime SLA should often be viewed with skepticism. Many web hosting companies claim to offer 100% uptime without the technology to truly achieve it. They essentially rely on luck and minimal SLA claims in order to offer it. At eUKhost, we can honestly and confidently say that our 100% Uptime SLA is backed by the technology to achieve it. Because we are so confident in our platform, we will compensate customers with one month free hosting if they have even a minute of downtime in any calendar month caused by a network or hardware failure. 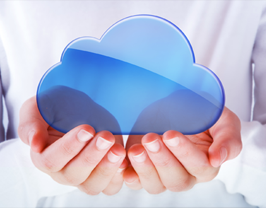 Have you considered cloud hosting? Cost-efficient scalability and redundancy for your business. All of our dedicated servers are ready for IPv6, allowing you to make your websites and online applications available to your visitors that use IPv6 to access the Internet. With thousands of companies already supporting IPv6, now has never been a better time to consider enabling IPv6 on your own server. Contact our experienced technicians for free help and advice on getting IPv6 up and running today!